hilarious. everyone likes a tidy lair. Is that third panel a reference to the Jetsons? Dan, you have one keen eye. 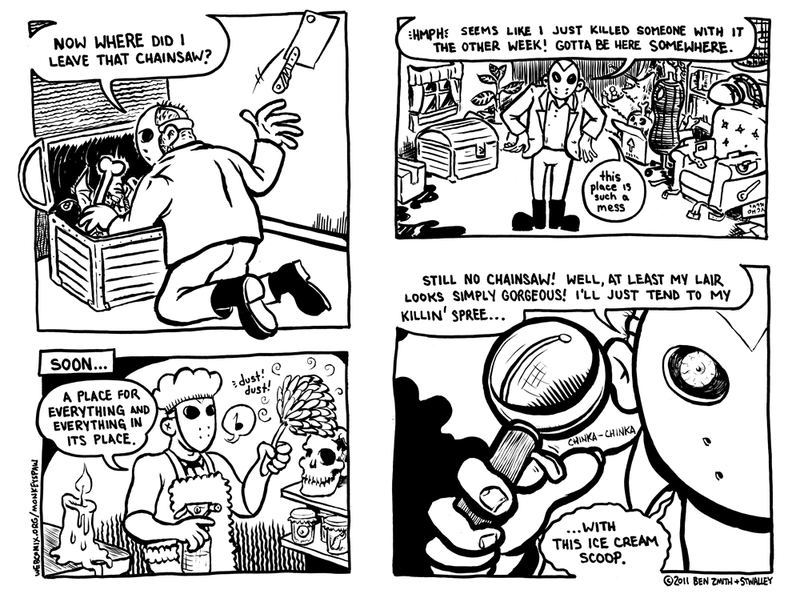 That is indeed Elroy’s skull pictured on the shelf in panel 3. I don’t know how you spotted that without the propeller beanie.